As part of the Windows 10 Updates, Microsoft has now come up with a new update for Windows 10 PCs. It’s called Windows 10 October 2018 Update. This post lists down some of the highlights of this particular update and Quick Heal’s compatibility with the OS. Users having Quick Heal version 16.00 or higher must take the latest Quick Heal Updates and then move to upgrade for Windows 10 October 2018 Update. Recommendation – Prior to moving on Windows 10 October 2018 Update, Quick Heal Update is mandatory. 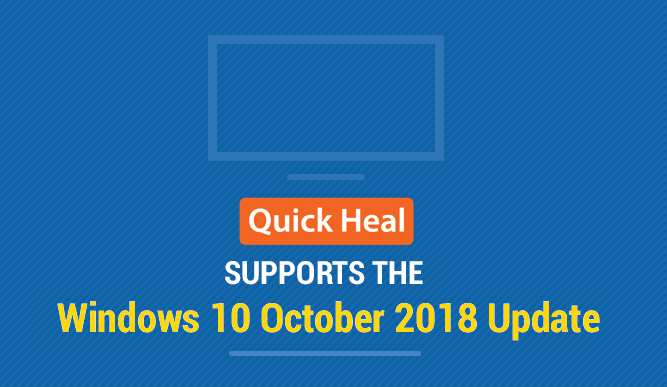 Fresh Install – Latest Quick Heal Product v17.00 downloaded from Quick Heal website is supported for Windows 10 October 2018 Update. How to apply the latest Quick Heal Update? The update will be applied automatically if your Quick Heal’s Automatic Update is turned ON. How to know if the Quick Heal update has been successfully installed and is compatible with Windows 10 October 2018 Update? If your Quick Heal Virus Database Date is latest, then it means it is compatible with Windows 10 October 2018 Update. Note – Fresh installation of Quick Heal version 16.00 and below versions is not supported by Windows 10 October 2018 Update. If you have any queries about the Windows 10 October 2018 Update and your Quick Heal product, please call us on 1800-121-7377 or drop us a line in the comment sections below. 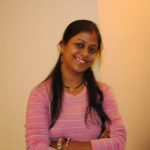 Next postHow can my Facebook account be misused if hacked?